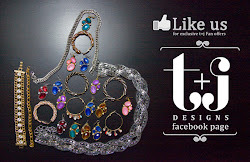 t+j Designs Blog: The winners of the Style Challenge! The winners of the Style Challenge! 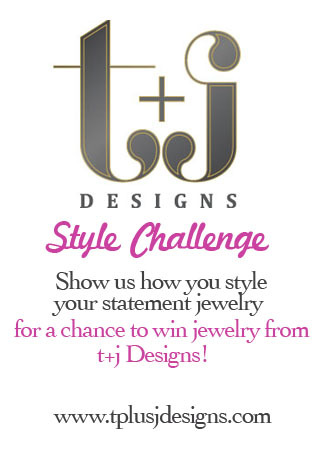 Thanks to everyone who participated in our first ever t+j Designs Style Challenge! 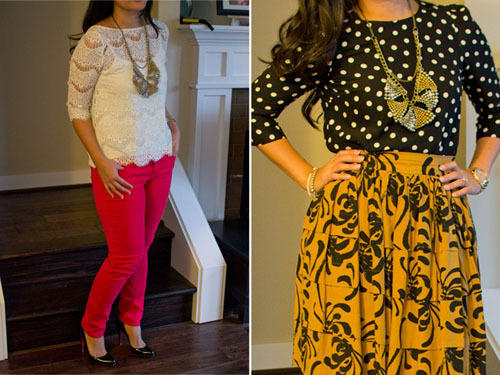 I really enjoyed seeing your outfits and loved how everyone styled their statement pieces. This was also a great way for me to find new bloggers that I love! I hope that you all will check out everyone's outfits and blogs and discover some new favorites as well! Everyone had some great tips on wearing statement jewelry and I love how it got some of you to be really creative and help you with wearing certain pieces with other outfits! Check out all the participants here! And now, time to announce the winners! We had such a hard time picking the winner because everyone did such an amazing job! Just a reminder, there were two fun prizes for the winners of the Style Challenge. 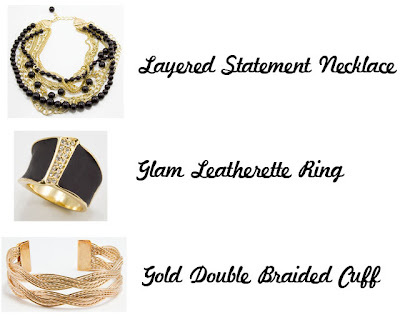 Prize 1 will contain the Layered Statement Necklace, Glam Leatherette Ring and the Gold Double Braided Cuff. 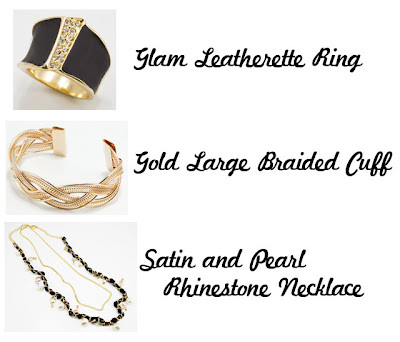 The 2nd prize will be the Glam Leatherette Ring, Gold Large Braided Cuff and the Satin and Pearl Rhinestone necklace. The judges pick was Design & Style! It was so close that I also had to include some "honorable mentions" which were Natasha Fatah and reader Petite-ish! The 2nd winner (chosen randomly from all participants) is AdamAlexMommy! I want to thank all the participants again for being a part of the Style Challenge. It was such a nice way to get to "meet" new blog friends and help me find new ways to style jewelry as well. I hope you guys enjoyed being a part of it too!